Computer scientists from Aston University have developed a way to drastically improve the battery-life of mobile devices, such as smart phones and tablets, by minimising the power consumption of mobile apps by as much as 60 percent. The research, which is published in Transactions on Emerging Telecommunications Technologies Journal, presents a solution that integrates mobile computing with cloud computing, with tools developed to identify the most power hungry parts of a mobile app and then moves them to the cloud using a technique called code-oﬄoading. The scientists developed a mobile-cloud hybrid application framework for Android that hybridises mobile apps, executing them across both mobile and cloud platforms. Using the code-offloading technique the 'power hungry' parts of the mobile-cloud hybrid application are ﬁrst identiﬁed, and then oﬄoaded to the cloud and executed there, instead of on the device itself. 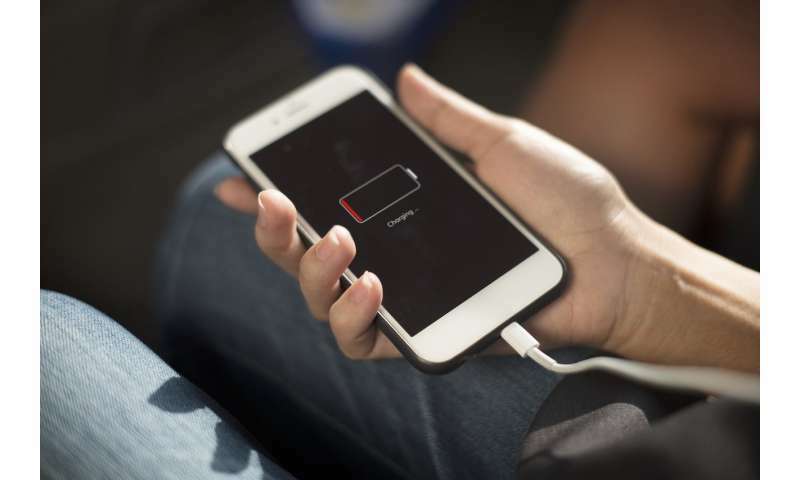 As they execute on the cloud instead of the mobile device, the device's own components are not used, power is saved which prolongs the battery life. Doctoral researcher Aamir Akbar, who developed the framework said: "So far, we have carried out experiments on two diﬀerent Android apps. ImageEffects is a prototype and Instagram like app we created and Mather is an open source app available on Github. "On one, our results showed that battery consumption could be reduced by over 60%, at an additional cost of just over 1 MB of network usage. On the second app, the app used 35% less power, at a cost of less than 4 KB additional data". While mobile-cloud computing in itself is not a new concept, for example Google Maps accesses cloud services in order to provide map data and images, the Aston computer scientists are the first to develop a general-purpose and ﬂexible solution to oﬄoading the power hungry parts of a mobile app to the cloud, whatever they may be. Dr. Peter Lewis, Aston University said: "By instrumenting mobile apps and using optimisation algorithms to search for eﬃcient app conﬁgurations, the tools identify the most power-hungry parts of a mobile app and move them to the cloud. And since our framework is general-purpose, it can be applied to any mobile app." The researchers are now working to apply this technique to battery powered mobile robots, that could be used in a variety of situations, for example in search and rescue operations, where battery lifetime is critical. Could HYCCUPS boost phone battery life? Maybe we'll go back to the idea of a 'dumb' terminal where nothing except the rendering and the user input happens on the handheld device? cloud usage. Yeah, sure, sounds great. Not only that, most of that battery consumption is all the tracking and notifications your various apps are doing. a_p: You mean a "web page"?? It has seemed to me that many apps could be replaced by properly written web pages. Greatly reduced privacy impacts too.